The great tip was to take large sheets of paper cut out as templates that match the size of each of the prospective frames. We had just gotten a regular shipment from Amazon which included a lot of brown packing paper, which once flattened out works nicely. 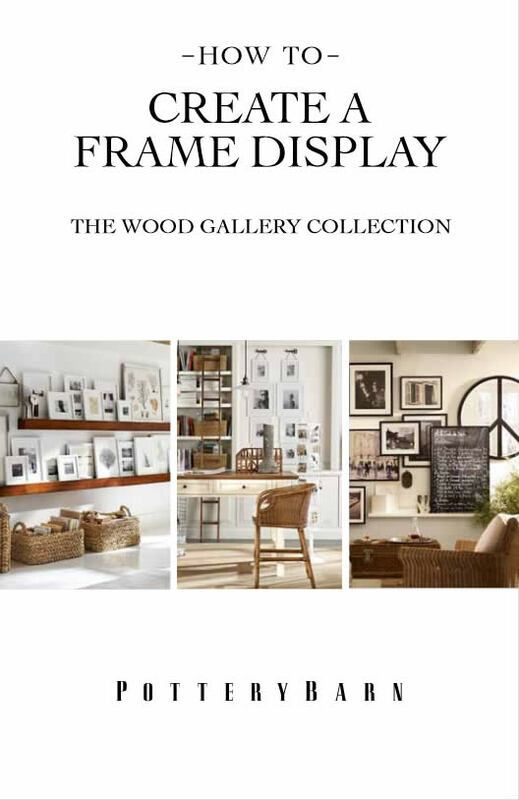 I didn’t actually frame out the matting area like Pottery Barn’s guide, which would probably be very helpful if you already have a number of sized photos to place. Our frame placement was actually done without specific pictures in mind as we intend to rotate pictures over time. 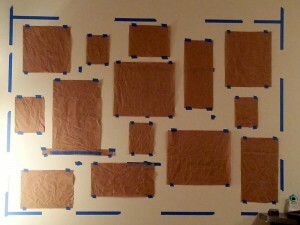 Once all the templates, or in this case, FPO (for position only) placeholders were cut out, it made it very easy to start positioning them on the wall and rearranging as necessary to map out where each frame would go. Having some understanding of design, balance, and having the framing area broken into a 3×3 grid of course made it very easy and only minor adjustments were made to the original placements. Your mileage may vary. I highly recommend marking off the grid though as it will really give you a feel for the overall balance. We also elected for a more “free-form” organic display than the painstaking process of trying to get frames to match up. 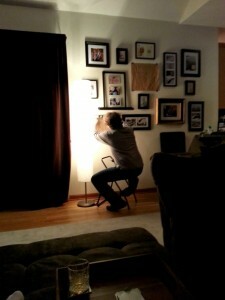 Photo Wall Work in Progress…while optional, the scotch is highly recommended. From there, I used a great hanging measurement approach to determine where the wall hangers needed to go for the frames to match the placeholders and set about hanging the picture frames. This technique would also be even more critical if you were wanting a strictly aligned display. One Response to "Arranging Picture Frames on the Wall"
We actually left the FPO brown paper up for a week or so to really get a feel for how it would look, and occasionally moved one a smidge.